Burgundy is an ideal fall color. Well, the holiday season has arrived. Thanksgiving 2018 is a little more than a week away. Even when you think you are prepared, there are always those last minute details that need tending to. Bergen Linen makes it easy to place those holiday-themed and party linen rentals. While we encourage you to place your linen orders early, we can certainly accommodate those rushes. Our team does their very best to accommodate all requests in a friendly and timely manner. When you think of Thanksgiving 2018, what colors come to mind? Orange? Brown? Gold? Green? Below, we are offering a few suggested color palettes and pairings. Classic or a little out of the box- it is up to you. Monochrome Choices – all gold or burgundy? How about a little color play? 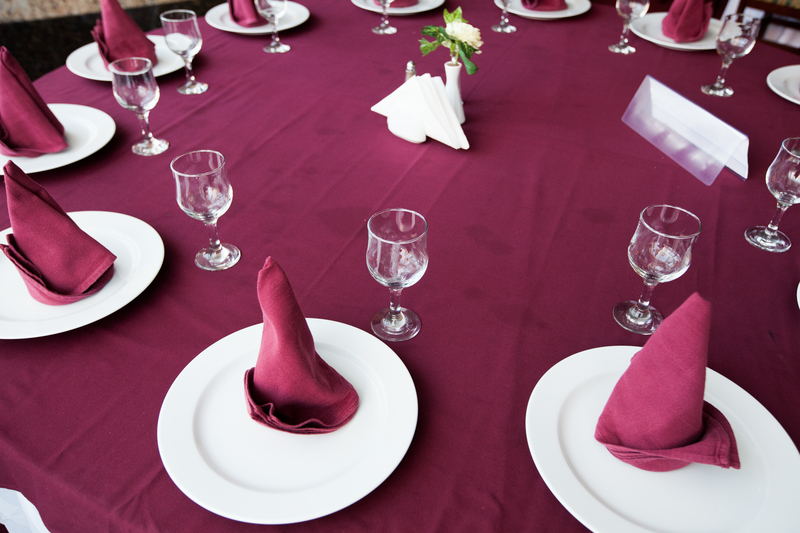 With our inventory, you will certainly find something that compliments your venue or answers your client’s request. Questions about our linen services? Email info@ bergenlinen.com or give us a call at (800) 789-8115. If you are ready to place your order, you can email order@bergenlinen.com directly. And stay tuned for next month for some fun additional holiday pairings!